Bob Avila was headliner presenter at the Best of The West Boot Camp clinic. SCOTTSDALE, Ariz.—With more than $100,000 in added prize money and some of reining’s biggest names, the Arizona Reining Horse Association’s The Best of the West highlighted the season for the host Arizona Reining Horse Association. The show featured the fund-raising Reining Boot Camp, designed for green, rookie and non pro riders who were introduced to other reiners, local affiliate volunteers and multiple trainers and had their maneuvers evaluated without the pressure of a show. Boot Camps benefit the RHF Dale Wilkinson Memorial Crisis Fund, helping reiners enduring hardships. 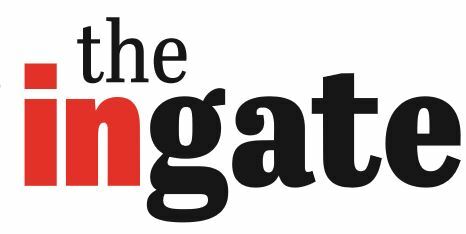 SAN MARCOS — If you drove past the Walnut Grove Equestrian Park arena on a recent Saturday about lunchtime, you may have seen the mayhem. There were loud protesters shoving signs at 15 people on horseback, including some kids. There were smoke bombs, loud music, and some large, strange-looking beings. But all was OK. The riders also had complete control — with the help of Mo Parga. Parga, a San Diego native who retired last month after nearly 33 years in the San Diego Police Department, was one of the clinicians at the City of San Marcos Day of the Horse May 20 in one of the county’s only municipal equestrian facilities. 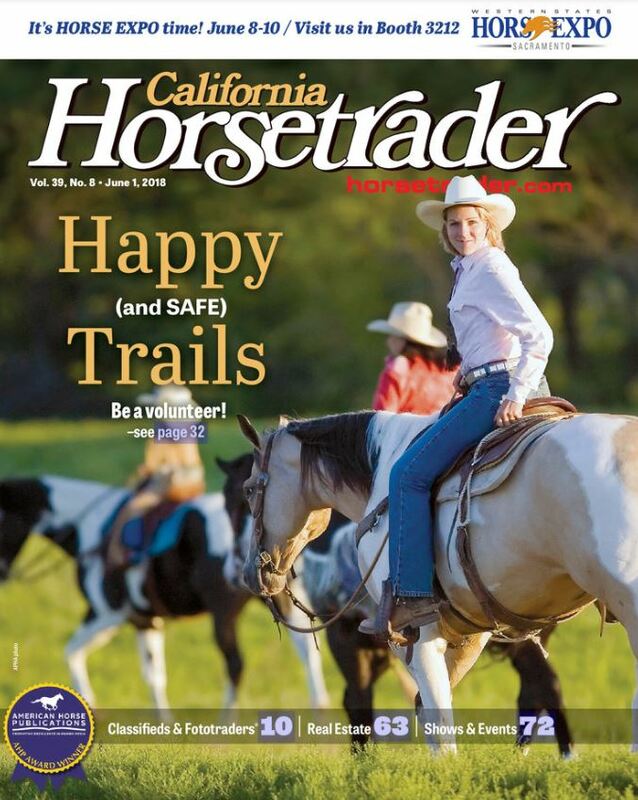 For years, Parga headed the now-disbanded mounted unit with the SDPD, but her passion for horses, community and volunteerism has spawned a new chapter — helping to form, train and coach volunteer patrols for local community trails. This 367-acre guest ranch is nestled in the Trinity Alps Wilderness Area of Northern California. 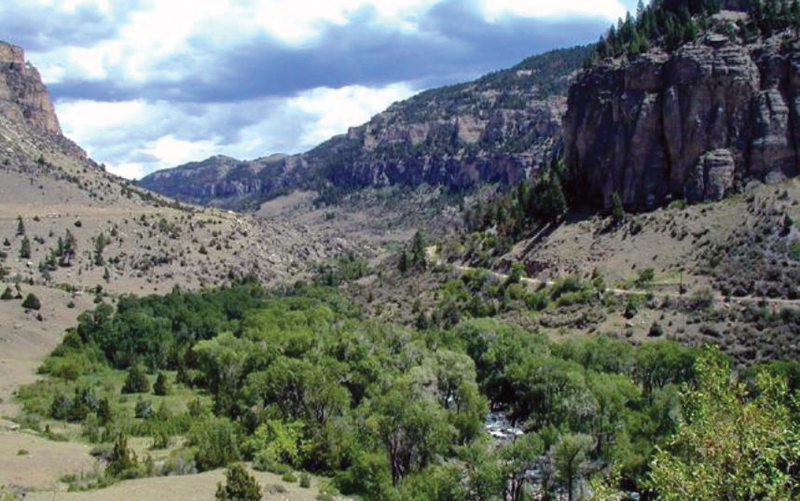 Coffee Creek, an excellent fly-fishing stream, runs wild year-round for a half-mile through the ranch where you can pan for gold, tube and fish. Planned activities include horseback riding, bonfires, trapshooting, bingo, volleyball, line dancing and archery, to name a few. The outdoor pool and creekside Jacuzzi spa are perfect places to watch the stars while your mind and body soothe back-to-nature. Hearty breakfasts are served in the ranch house or out on the trail, as well as poolside lunches and western barbecues under the stars! Coffee Creek’s professional chefs prepare all your meals from garden-to-table, using the freshest herbs, vegetables, and fruits. Special diets can be accommodated. The very welcoming Dude Ranchers’ Association, representing over 100 of the best dude ranches and guest ranch vacations in the West, is a great resource for vacations throughout the continent. Founded in 1926, the Dude Ranchers’ Association was formed to preserve this special way of life and the wonderful environment in which dude ranching takes place. 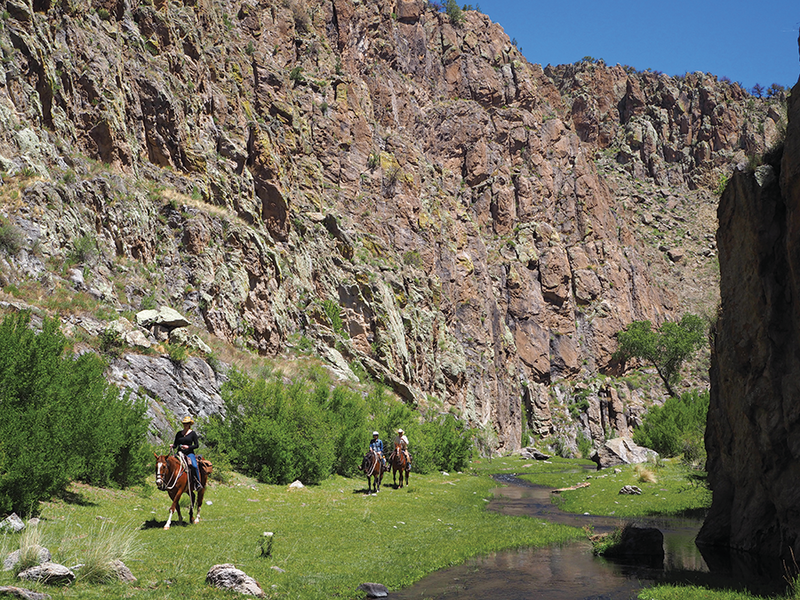 When you vacation at a member ranch, you can be sure of a quality vacation. Membership requires a rigorous two-year inspection and approval process that ensures guests are treated to genuine western hospitality combined with the lodging industry’s highest standards. 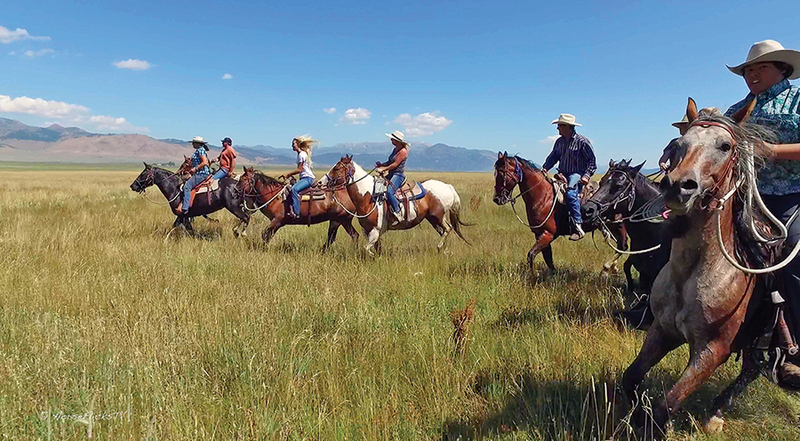 A vacation experience like no other destination, the association’s ranches offer all-inclusive vacations that are perfect for solo travelers, multi-generational families and corporate events. 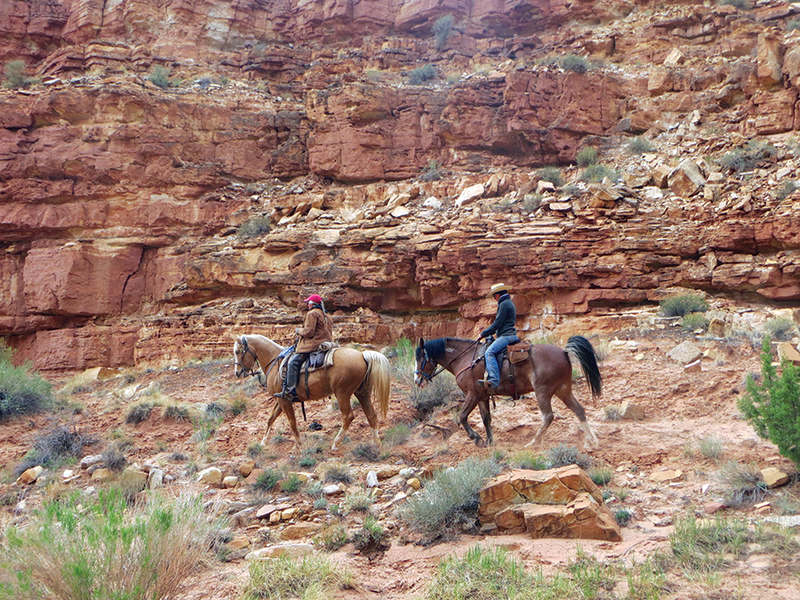 Horseback riding, hiking, fishing, swimming, cycling, zip lining, white water rafting, rodeos, camp fire sing-a-longs, western dancing, fine dining and more await your discovery. About an hour’s drive from San Diego, Lake Cuyamaca is a picture-book, 110-acre lake that is proof positive that good things come in small packages. Situated at an elevation of 4,600 feet in an oak and pine forest, it is surrounded on three sides by the 26,000-acre Cuyamaca Rancho State Park, which is 52 percent wilderness. 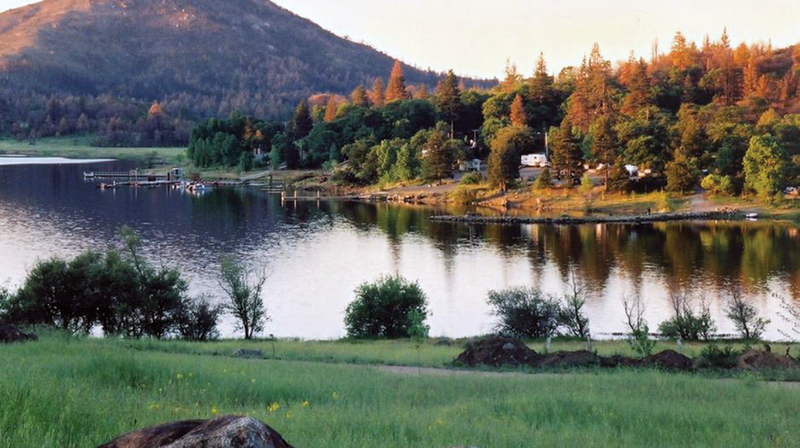 Lake Cuyamaca is the perfect getaway for one day or up to 10 nights. Few places in San Diego County offer the pristine views that greet your eyes wherever they may wander! Stocked with over 38,000 lbs. of trout annually, Lake Cuyamaca is the only San Diego lake that is able to stock trout all year long. Besides fishing, there are many other activities for the avid outdoorsman and the whole family. 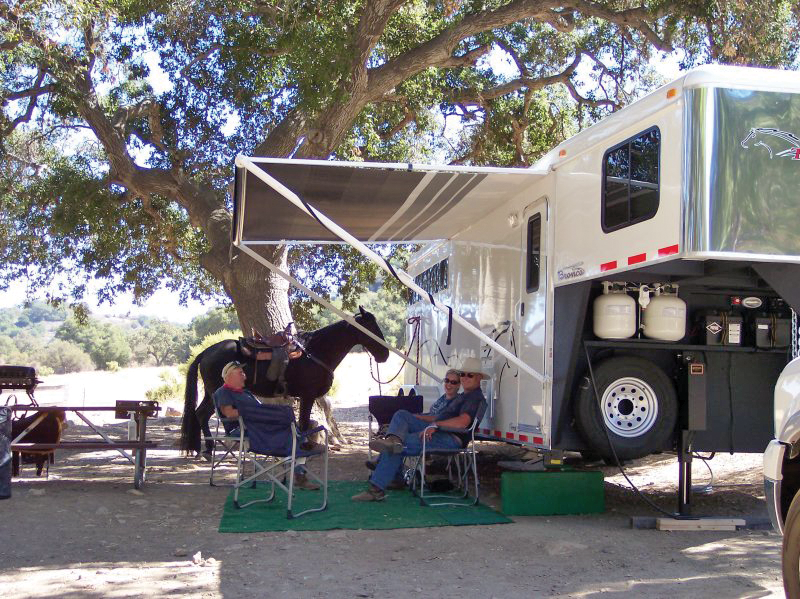 Bordered by the Los Padres National Forest and the Santa Ynez River, Rancho Oso RV Camping offers acres of beautiful scenery and endless opportunities for horseback riding, hiking, and photography. 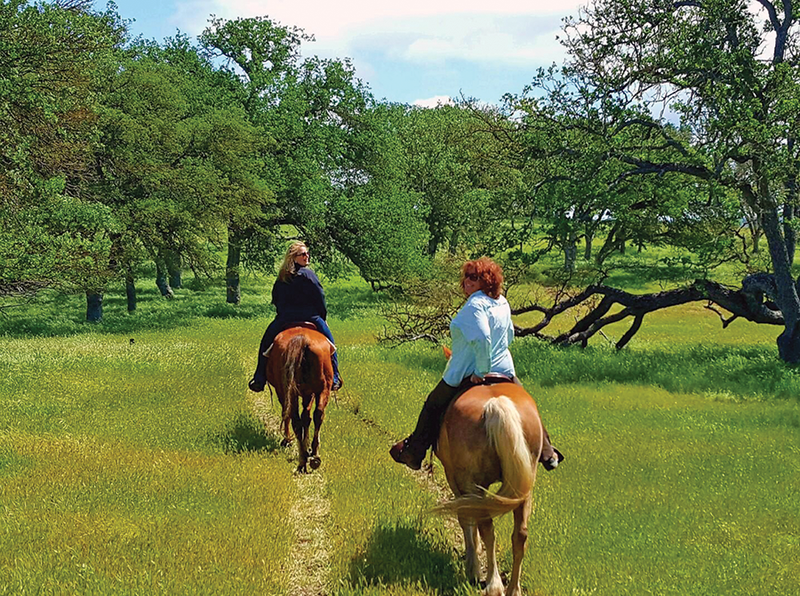 Spectacular forest and mountain scenery combined with the rich history of Rancho Oso provide one the most memorable riding and recreational experiences found anywhere in California. Explore 310 beautiful acres of its RV camp filled with history that dates back to 1845. 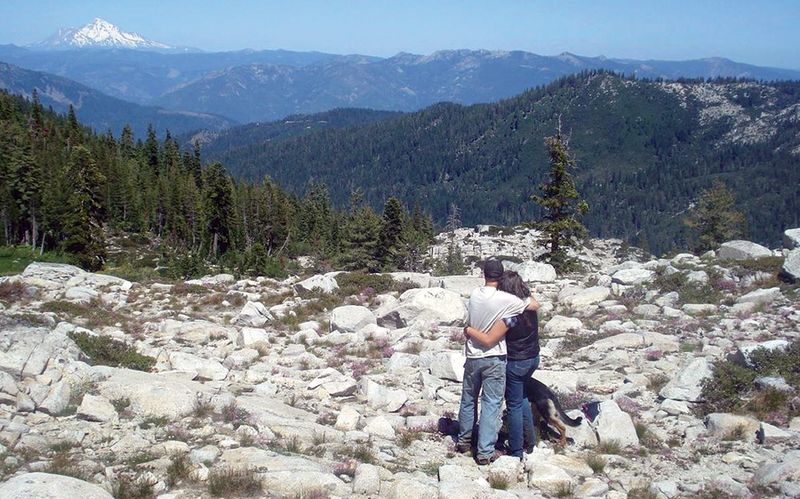 Since 1947, Rock Creek Pack Station has been offering wilderness and outdoor vacations in the Eastern Sierra, under the ownership of the London family. The London family is dedicated to serving the public, taking care of the land, making sure the horses and mules of the operation have happy and meaningful lives, and that the crew has a good time and is fairly compensated for their hard work and dedication. You can experience all the beauty of the Eastern Sierra that naturally comes with Rock Creek Pack Station’s many rides, excursions and packing schools. One hour north of the Golden Gate Bridge, The Point Reyes Country Inn and Stables is your headquarters for days of relaxation, outdoor activities and fine dining. 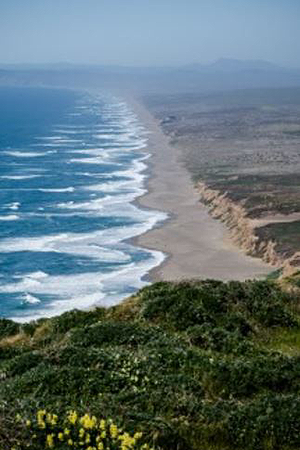 Located a close distance to the Point Reyes National Seashore, the Golden Gate National Recreational Area and Tomales Bay State Park, the Country Inn makes for an excellent base for exploring the mile of coastal trails. 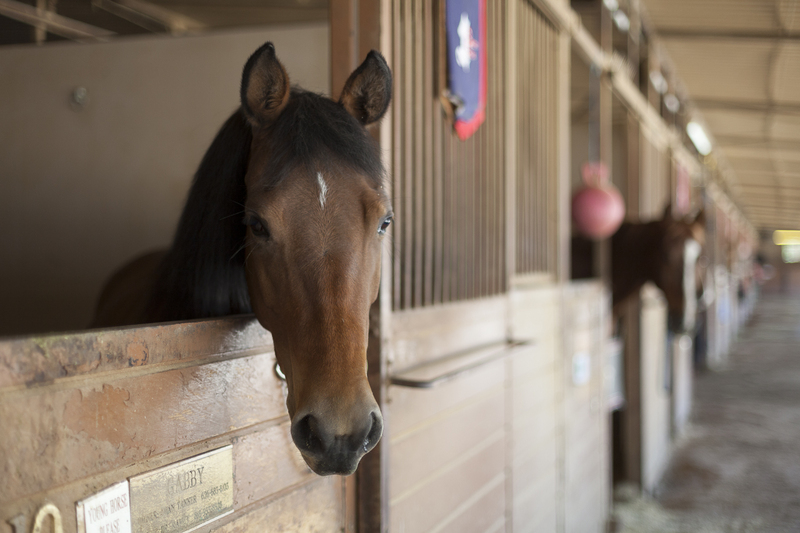 There are three levels of accommodations for the equestrian enthusiast. The Groom’s Quarters, over the stables, consists of two studios, each with queen bed and kitchen, and an additional room with three twin beds for total accommodations for seven; it is well suited for groups. The Bed and Breakfast is a five-bedroom inn with an inviting living room with large fireplace and French doors leading to a sunny deck overlooking Point Reyes Peninsula. All come with private baths, one king or queen bed per room, and welcoming balcony or deck. Two intimate Cottages on the Bay, located seven miles from the Inn and Stables in the village of Inverness, are romantic, private, and have the best views of Tomales Bay in the area. Each sleep two adults and have full kitchens. The cottages are a tranquil oasis. Ten Sleep, Wyoming, offers spectacular views of the Big Horn Mountains to the east and red buttes to the south and west. Located on Highway 16, the main tourist route from Mount Rushmore to Yellowstone Park, the area around Ten Sleep is 85 percent public land. With great back country roads for scenic drives, archaeological sites, unique rock formations, wildlife viewing, and breathtaking mountains, lakes and streams; horseback riding, hiking, biking and fishing opportunities abound. Darell and Bonnie Ten Broek, have been welcoming travelers from across the U.S. and abroad, many of whom return year after year. 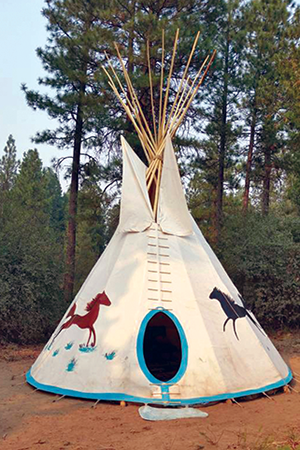 Ten Broek RV Park, Cabins, and Horse Hotel is a hub of activity serving as basecamp for adventurers on the road. Their meticulously maintained RV park offers 52 full-service pull-through RV sites, six cabins and three bunkhouses with heat/AC, grassy/ shaded tent sites and great facilities for your horses (with hay and feed available). 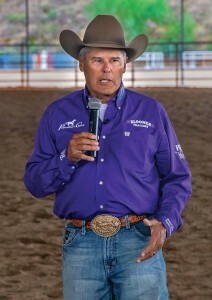 Pat Parelli will be teaching a natural horsemanship clinic Southern California May 12-14 at the Ingalls Park Arena in Norco. This year celebrates 35 years of the Parelli Program, which teaches riders how to gain leadership with their horses, how to better communicate, and how to get the best results. Pat’s coaching focuses on safety, ethical treatment and effectiveness. The Parelli program is for horses of all breeds — western, English, gaited horses or other types of riding. 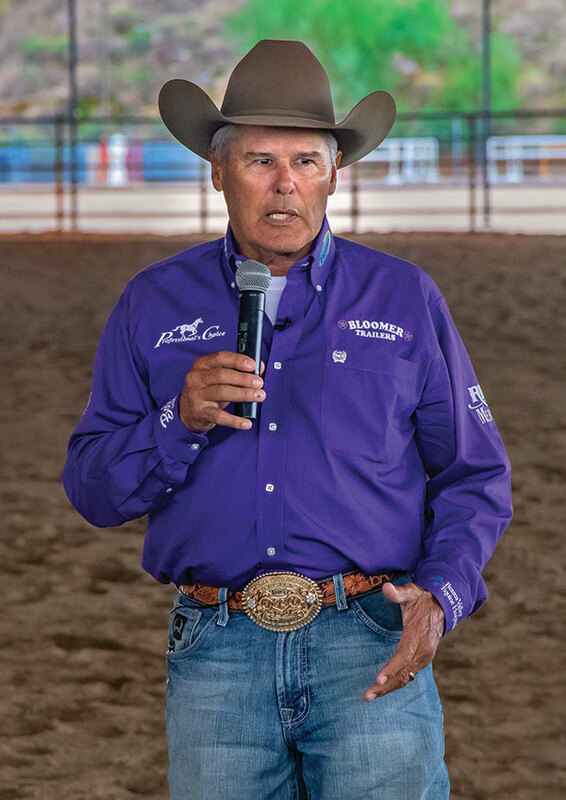 Pat is a master teacher who helps riders correctly develop a foundation so that horses accept additional training that leads toward specialization in a particular discipline. It’s the foundation to all disciplines and recreational riding. 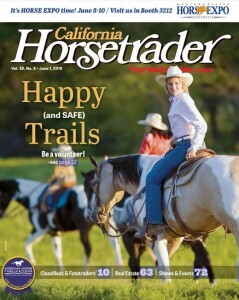 Pat helps people solve problems so that they can gain more enjoyment with their horses — and reduce accidents. Petite and sweet-natured — and at the same time, powerful and competitive — Josephina Nor Lantzman is a truly elegant rider. Known as Phina, she has worked with a number of trainers, but she says that her father, Fabio Nor, is the best coach a daughter could have. Together, they seem to be able to bring out the potential greatness in a horse. Rebecca Armour and San Cielo Ray went home from the CRHA Slide On The Beach reining event on Aug. 3 with four titles, including the Non Pro championship. HUNTINGTON BEACH — Like the weather, reining competition heats up in the summer, so the California Reinng Horse Association took its schedule to the beach for an Aug. 3 show at the Huntington Beach Central Park Equestrian Center. The headliner was non-pro Rebecca Armour, who took her San Cielo Ray to titles in Non Pro, Intermediate Non Pro, Limited Non Pro and Novice Horse Non Pro divisions. Monica Albair was judge at the one-day event, which also had Jack and Linda Baker qualifying classes. The next CRHA event will be the big one — The Challenge, scheduled Oct. 22-26 at the Los Angeles Equestrian Center. My colt refuses to trot with me…help! HEY RAY: I own a big 3-year-old Friesian colt that will not trot next to me when asked. He either drags behind me at the walk or when pushed will erupt into a dead-run—kicking, rearing and playing while dragging me. I’d like to show him in halter, but I’m afraid he’ll get away and hurt himself or someone. 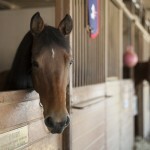 WASHINGTON, D.C. — Congressman Andy Barr (R-KY) on March 6 introduced the Equine Tax Parity Act (H.R. 998), which would make horses eligible for capital gains treatment after 12 months, rather than 24, similar to other business assets. THERMAL — It was a rewarding day for hunter riders in Thermal, as Desert Circuit III wound to a close with two big-money competitions on Sunday, which marked the conclusion of the first half of the 2013 HITS Desert Circuit.